What would you do with 100 free postcards? You may get your chance because UPrinting is offering one lucky winner 100 free postcards to do with as they please! 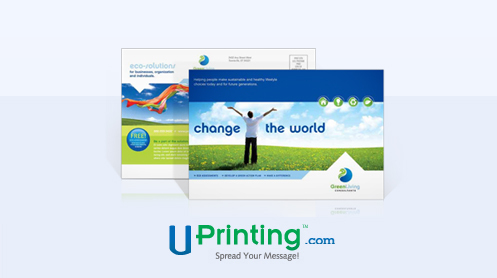 We have used UPrinting before and the quality of their product is great! You will not be disappointed. 1. Like UPrinting Postcards page and share how you would use the postcards if you win the giveaway. 2. Tweet how you will use the postcards if you win the giveaway. In the tweet include a link to the UPrinting Postcard page (http://www.uprinting.com/postcard-printing.html) NOTE: Make sure to use the FULL URL and not any URL shortening tool for the tweet. Twitter will automatically shorten the URL for you. Both must be done before extra entries will count. • Follow the Cap blog. • Like Cap on facebook. Open to US residents only, 18 yrs and older that have not won a UPrinting prize in the last 6 months. • Leave a separate comment on this post for each entry. • Make sure we have a way to contact you. • Last day to enter 12/15/11. • GOOD LUCK!!! This giveaway is sponsored by UPrinting, no monetary compensation was given and I will receive postcards for hosting. Liked UPrint. They look like a great company. I absolutely LOVE mailing postcards. I would send 100 encouraging notes with a pretty picture on the front. I think that would brighten up a lot of peoples days...100 to be precise. I followed them on FB but I don't tweet! Hope I can still win! I follow your blog and like you on FB and I LOVE your products! OK I just realized that I get an additional entry for liking you on FB. I'm in!! !